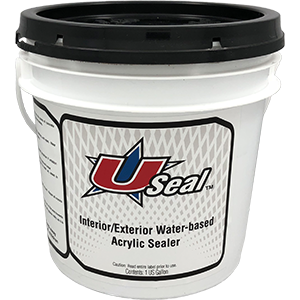 USeal concrete sealer is a deep penetrating concrete sealer that protects concrete and masonry. USeal provides a tough, flexible and breathable film that binds sand and cement particles. 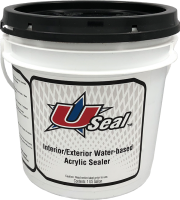 USeal is excellent for outdoor applications like stamped concrete and sealing patio pavers, revitalizing color and providing mold and mildew growth resistance. USeal can also be used in conjunction with UDecor Stain Additive. Typical Coverage up to 1000sq. ft. Typical Coverage up to 200 sq. ft.